SC Villa defender Savio Kabugo has completed a move to DR Congo defending league Champions AS Vita. Savio has been at Villa for just months after joining the record Uganda Premier League Champions from Proline FC in July, but has been injured for the better part of the season. He is believed to have undergone a three weeks trial at Vita and news coming from DRC indicates that he has passed with flying colours hence sealing the move. Savio whose dream looked to have come to an end at struggling SC Villa finally uplifted it again by making such a move to play international football. He was at Proline FC last season under the guide-ship of Mujib Kasule before they got relegated back to the Big League. 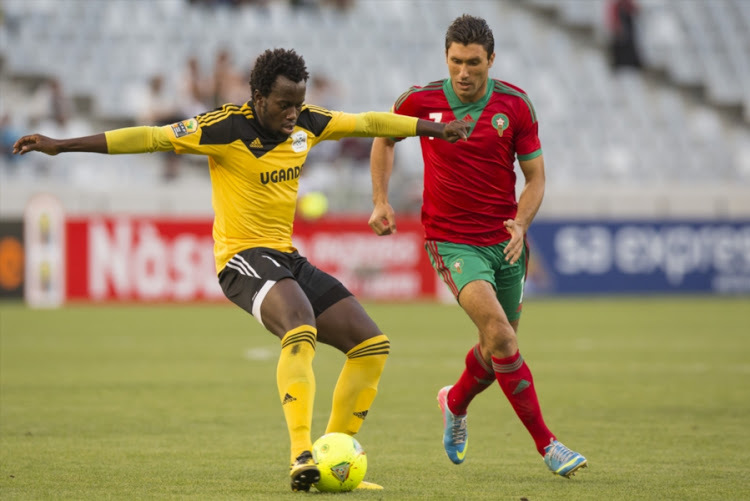 The Ugandan Defender is most remebered for his strike that sunk Ghana in the 2014 AFCON Qualifiers at Mandela National Stadium, Namboole. Savio has passed through clubs like SC Victoria University, URA FC, KCCA FC, Proline FC and lastly the Uganda record Champions SC Villa. He becomes the second Ugandan to feature for Vita after compatriot Yunus Ssentamu who plied for AS Vita in 2014 taking the club to the finals of CAF Champions League. He now joins Ugandan Joseph Ochaya who plies his trade for TP Mazembe in the same League.